The die-casted electric resistors (so called on plate) are designed for many industrial applications requiring thermal treatment of fluids and liquid substances, even if they are commonly used to heat water. 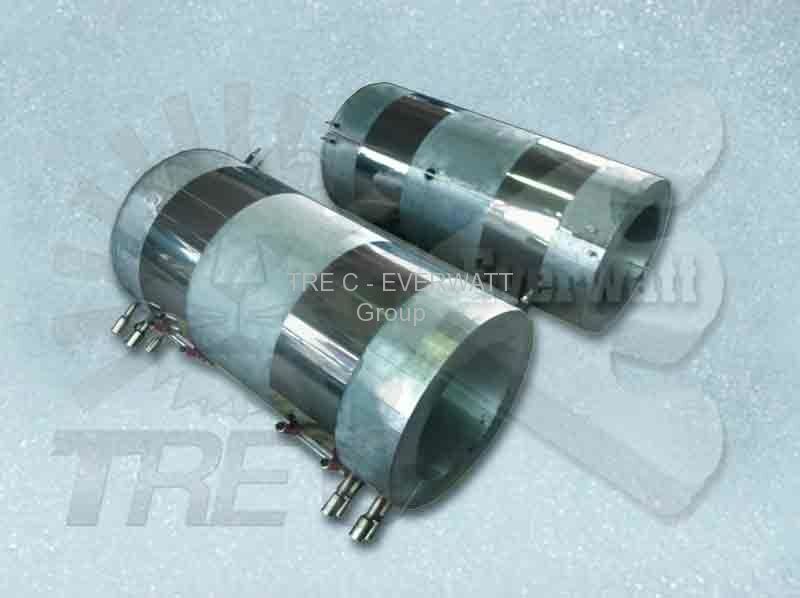 And ‘possible to make various types of electric heaters in the die, both as standard and customer specifications, consisting of 1 element (phase type), or more elements (such as three-phase) bent on drawing to assume conformations such that fit perfectly with the inner surface of pits and grooves after the casting, or drowning in the slot of the die casting, aluminum die of various forms. These resistors provide excellent heat exchange to the surface on which are placed in direct contact and heating elements installed in them can be as high surface loads around 23-25 ​​W/cm2. 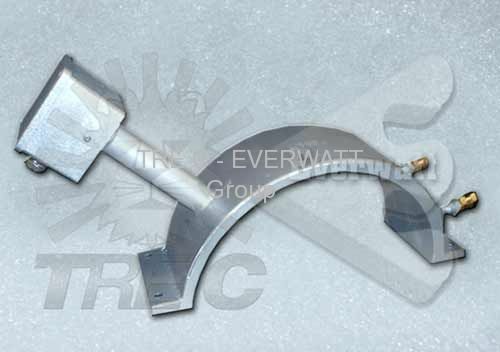 Assuming the most varied forms, this type of heater can be effectively installed in direct contact with the surface to be heated, both horizontally and vertically, and can also be built with high power are also suitable to operate in environments with high pressures and low volumes . The use of quality materials in our production cycle, allows the electrical resistances of die extensive work with our production of useful service life in the medium to long term. Given that aluminum begins to melt at low temperatures, during the operation of this resistance is, however, should be closely monitored. 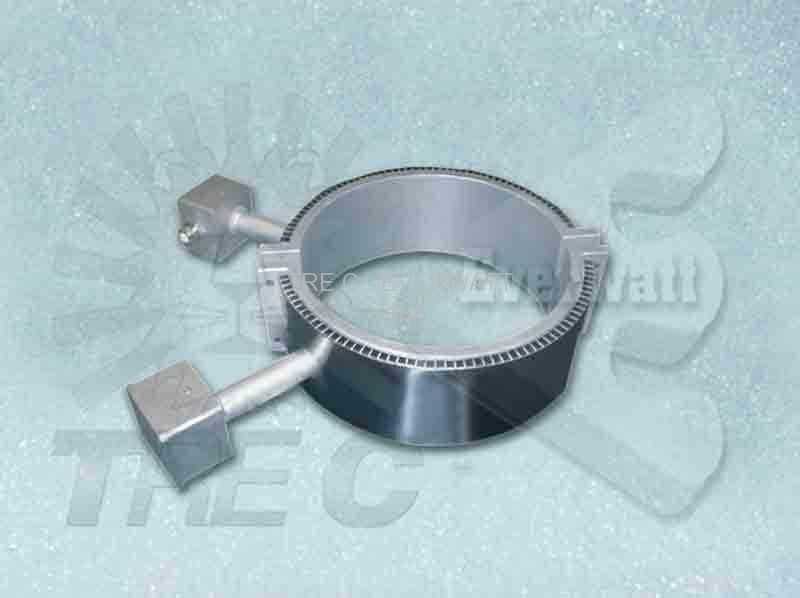 The electrical resistances of the die plate is aluminum: These resistors, whose elements can be made with outer sheath Iron, Stainless Steel or Incoloy800, they are often embedded with advanced technologies of aluminum die-casting. The material used (aluminum) is of the highest quality, from major suppliers. This type of resistance is much appreciated as designs and takes many forms and is highly useful operating life. 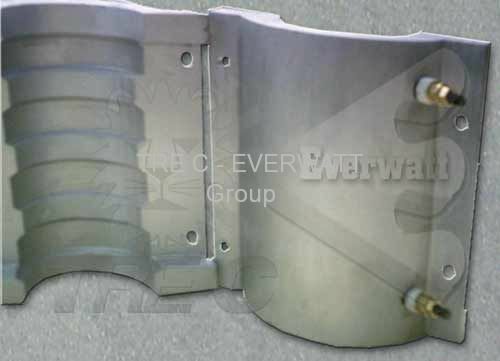 The high accuracy of execution of every detail of the mold or groove, made to customer specifications, ensures that aluminum is proven to be the best material for the construction of this type of electrical heating plate. Possibility of realization with very complex forms of mold, customizable in terms of power and space requirements. Possibility to realize high power and high surface density. The entire production cycle of the electrical resistances of die-cast aluminum plate is subjected to rigid controls dimensional and electrical tests in accordance with regulations of our Company Quality System certified to ISO 9001:2008 and in full compliance with the requirements of the regulations IEC / EN.